The Seas, Rivers, Islands and Coastal Areas Intergroup (Searica), which brings together more than 80 Members of the European Parliament from six different political groups and 19 Member States; together with the informal Circle of Mediterranean Parliamentarians for Sustainable Development (COMPSUD), with more than 90 Members of Parliament; and key stakeholders from EU and non-EU Mediterranean countries, are meeting to explore realistic options on how to effectively curb plastic pollution in the Mediterranean. The meeting, focusing on the issue of marine litter in the Mediterranean, will take place in the afternoon of the 21st of November at the European Parliament in Brussels. Welcome remarks will be addressed by Ms Gesine Meissner, MEP and President of Searica. After an introductory presentation by MIO-ECSDE Marine Litter expert Dr. Thomais Vlachogianni, the chairman of COMPSUD, Professor and member of the Moroccan Parliament, Mr. Moh Rejdali will lay out the challenges on the South shores of the Mediterranean. Mr. Gaetano Leone, UN Environment MAP Coordinator, will present the promising measures and lessons learned from the implementation of the Regional Plan on Marine Litter Management in the Mediterranean. In the second part of the meeting, Mr. Michail Papadoyannakis, Directorate General for the Environment, and Prof. Michael Scoullos, Chairman of MIO-ECSDE will provide the frameworks and prerequisites for ‘doing things right’ when it comes to efficiently addressing the issue at hand. Mr. Bernard Merkx, co-founder of Waste FreeOceans, and Ms Silvia Freni Sterrantino, of European Plastics Converters will provide the private sector’s perspective on the challenge of tackling the marine litter problem. The last part of the meeting will focus on the next necessary steps. Most Mediterranean countries are now witnessing their Parliaments’ efforts to decide on measures to curb the use of single use plastics and mainly plastic bags. 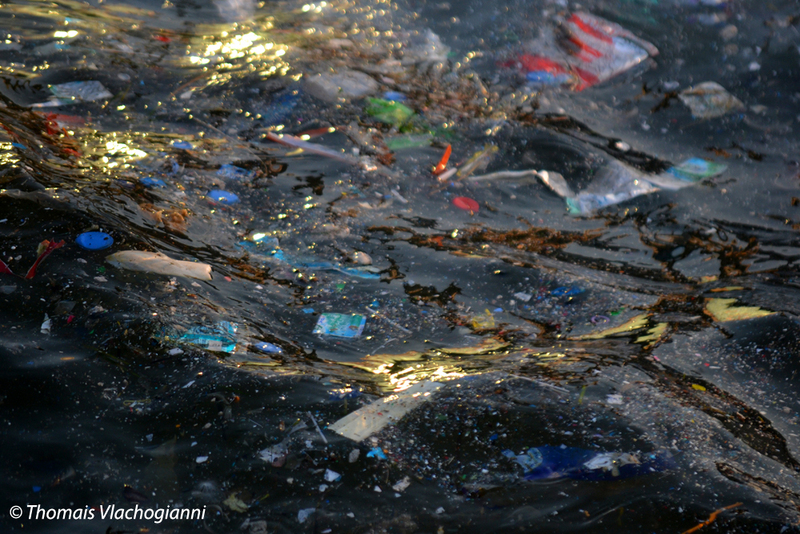 Being one of the most affected seas by marine litter worldwide, this deep rooted problem is of major significance. Thankfully, knowledge on the issue has been substantially enhanced in the past few years, with several studies shedding light on the amounts, distribution, sources and impacts of marine litter. As a result, bold moves are taking shape on the EU side driven by the Marine Strategy Framework Directive and measures and pilot actions are advancing in the non-EU countries under the Regional Plan for Marine Litter Management in the Mediterranean of the Barcelona Convention. MIO-ECSDE organizes on an annual basis Dialogues between Parliamentarians, NGOs, journalists and other stakeholders on current environmental problems. Joining forces is the fundamental premise for the promotion of sustainable development in conditions of peace and cooperation among all countries and peoples of the Mediterranean region. This session at the European Parliament is unique in the sense that Parliamentarians of EU and Non-EU countries will come together, discuss with marine litter experts, key economic sectors, NGOs and journalists the state of play and examine what the realistic steps forward for a litter and plastic-free Mediterranean Sea are.